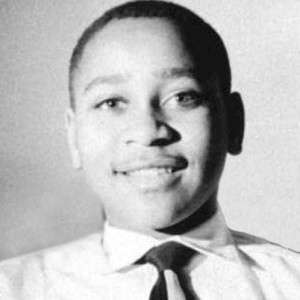 The Cold Case Justice Initiative (CCJI) at the College of Law will host a briefing on the Emmett Till Reauthorization Act at the Capitol Visitor’s Center, First St. NE, Room HVC-215, Washington, D.C., on Sept. 12 from 4:30-7 p.m.
Paula Johnson and Janis McDonald, professors of law and co-directors of CCJI, will participate in this event that brings together the Coalition for Emmett Till Reauthorization Act, members of the House of Representatives and investigative journalists who believe it is necessary to pass the Emmett Till Unsolved Civil Rights Crimes Reauthorization Act of 2016. The passage of the bill will support the efforts of families and advocates who seek justice for racially motivated killings during the Civil Rights Era and beyond. The event is being held in conjunction with the Coalition for Emmett Till Reauthorization Act: The Civil Rights and Restorative Justice Project, Northeastern University School of Law, Cold Case Justice Initiative, Syracuse University, Emmett Till Justice Campaign, Emmett Till Legacy Foundation, Georgia Civil Rights Cold Cases Project at Emory University, Leadership Conference on Civil Rights, Mamie Till Mobley Memorial Foundation, NAACP, NAACP Legal Defense Fund, National Urban League and Southern Poverty Law Center. The event is free, but preregistration is recommended.